I first saw a wild orca in the waters of southern Alaska, in 2008. My heart stopped. My eyes watered. No photo I took could recreate the immense emotion I felt while I observed them. Since 2008, I've wondered about their mysterious presence, their colossal size, beauty, power, grace, social phenomena, and extreme intelligence. I now reside in Seattle, Wash. Seattle is the only urban city with a resident orca population. 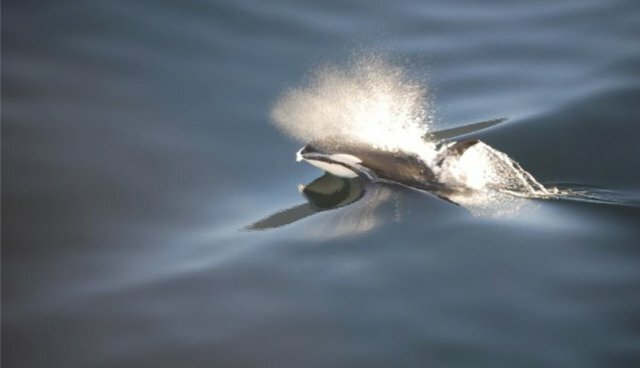 In the cool, clean waters of the Puget Sound and Salish Sea, J, K, and L pods (our Southern Resident Killer Whales) swim, hunt, and socialize freely. However, many do not realize just eighty Southern Resident orcas remain. You can make a difference in the research and conservation of these gorgeous creatures. Watch and support films like Blackfish, and study the habits and behaviors of these fascinating mammals. Use your voice on Twitter and Facebook to share what you learn. Join the Orca Network: a non-profit dedicated to educating about the importance of these animals. Erich Hoyt is one of the premier orca researchers, and his book Orca: The Whale Called Killer has garnered wonderful praise for over three decades.